Timothy Geithner was approved as secretary of the Treasury today by a vote on the Senate floor of 60 to 34. Handfuls of Republicans and Democrats voted against their party leaders, despite the fact that the Senate finance committee recommended Geithner to lead Obama's economic team. Some Senators doubted Geithner's ethics after he ran into some tax problems. White House spokesman Robert Gibbs said Geithner has made amends by paying the taxes and penalties, and that he possesses the talent the nation needs to steer the nation out of the crisis. 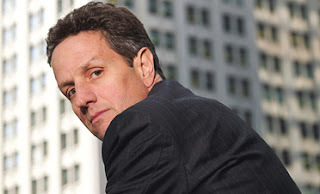 Geithner served as undersecretary of the treasury for international affairs during the Clinton administration and most recently as president of the New York Federal Reserve Bank.